The Philip Johnson Tapes: Interviews by Robert A. M. Stern, published by the Monacelli Press in 2008, offers architect Philip Johnson’s candid take on his life and work. Johnson established the Department of Architecture at the Museum of Modern Art (MoMA) and is perhaps best known for his work with Ludwig Mies van der Rohe on the Seagram Building in New York City, the Glass House in New Canaan, Connecticut, where he lived from 1950 to his death in 2005, and the AT&T building in New York City. 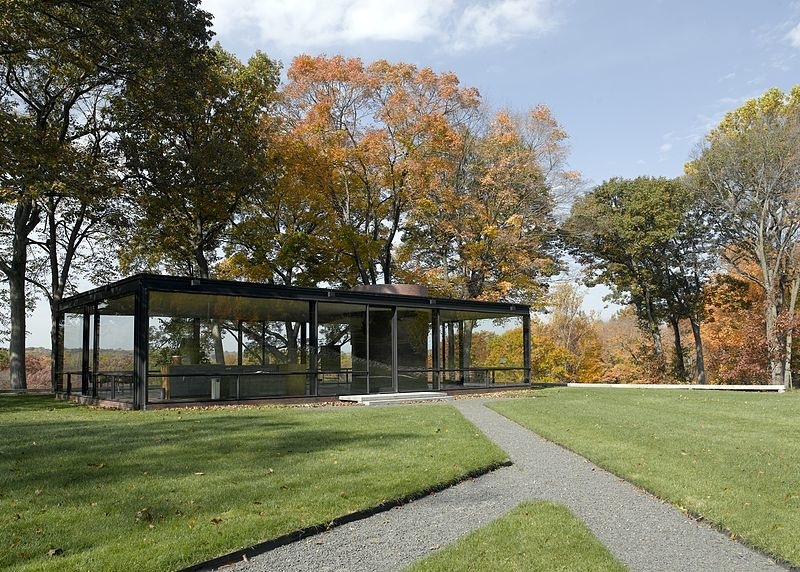 Now a National Trust for Historic Preservation property, the Glass House is open to the public. Johnson was a cousin of architect Theodate Pope Riddle, who designed the estate that is now Hill-Stead Museum in Farmington. Robert Stern, a protégé of Johnson’s and now the dean of the Yale School of Architecture, interviewed his mentor in 1985 when Johnson was 79. The interviews were, by Stern’s and Johnson’s agreement, to remain unpublished until after Johnson’s death (which occurred in 2005). Below are excerpts that briefly trace his early career. 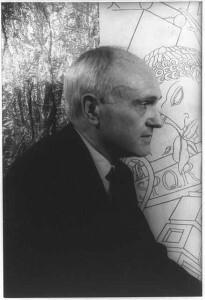 Johnson started work at the Museum of Modern Art while still completing his bachelor’s degree from Harvard University (1930). Robert Stern (RS): Did you pay your own way when you got there? PJ: I had about a million dollars, which in these days is nothing but in those days was comfortable. So I could pay my own salary. That was the big thing. I charged into the Museum in 1929 and I founded the department because I was so immensely wealthy that I could pay my own salary and my assistant’s salary. After meeting historian of architecture Henry-Russell Hitchcock (1903–1987), who was teaching at Wesleyan University in Middletown, Connecticut, Johnson toured Europe with Hitchcock in 1930. That trip led to the publication of The International Style: Architecture Since 1922 (1932) and a related show at MoMA (1932). Johnson left MoMA in 1934 and dabbled in left-wing politics, a period in which Johnson came to feel, “I’d wasted my life.” Johnson decided to return to Harvard to study to become an architect. PJ: Well, they were delighted because of the book [The International Style]. … I went up to see [professor and architect Marcel] Breuer. I went up for an interview and told him my terror at trying to be an architect …. RS: —and learn about working drawings and things like that? PJ: I was much too rich to bother about that. That only came up back to haunt me later when I wanted a license. But in those days, there was no license needed for houses. … I didn’t know I’d build as big as I have, but I thought I was going to be a serious architect from the beginning. PJ: Yes, [I took the test] two or three times, because I kept flunking design. … I couldn’t get my license. Design was the only part I flunked. I had no trouble with structures. Oh, I did have a little trouble at first with [site] planning. …Yes, with arranging: “Arrange these houses on these lots.” Well, I didn’t know that you just copied the latest suburban subdivision. So I tried to do something classical and monumental and flunked. I learned better when I went to school; I finally went to cram school. After a stint in the Army, Johnson returned to MoMA in 1945/46 as the director of architecture and design, mounting an exhibition on his mentor Mies van der Rohe in 1947. He designed MoMA’s annex from 1949 to 1951 (the structure was razed in 1979), taught at Cornell and Yale, and designed several homes, including his own Glass House (completed in 1949) and others in New Canaan. 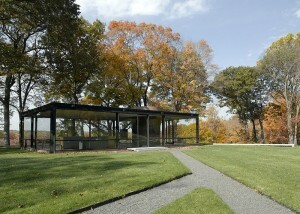 PJ: But the [Glass] house was, of course, the center of activity. … It did become—you couldn’t be a Yale student if you hadn’t been down to see it. 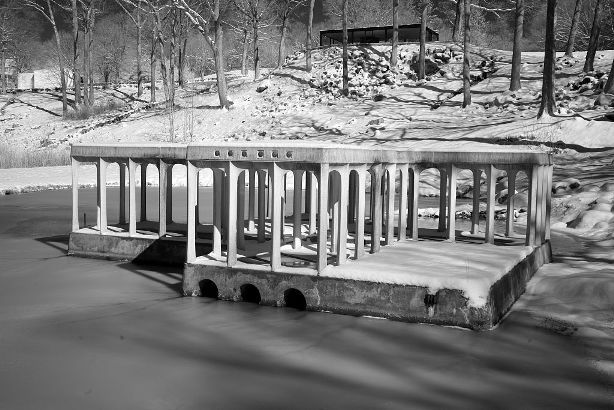 … I chose New Canaan because Breuer lived there and [John] Johansen lived there and so did Eliot Noyes [with Johnson and Landis Gore, the group known as the “Harvard Five” architects]. … And I could teach at Yale and be connected. In the 1960s, Johnson fell from favor before his career gained a second wind in the 1970s with a focus on corporate projects in partnership with John Burgee. Johnson was awarded the first Pritzker Architecture Prize in 1979 and appeared on the cover of Time magazine (January 8, 1979) holding a model of the AT&T Building in New York City (1985). “The Philip Johnson Glass House,” 2017. Link. Hitchcock, Henry Russell. Philip Johnson. Architecture, 1949-1965. London: Thames & Hudson, 1966. Hitchcock, Henry Russell, and Philip Johnson. The International Style. New York, NY: Norton, 1966. Johnson, Philip, Robert A. M. Stern, and Kazys Varnelis. The Philip Johnson Tapes: Interviews by Robert A.M. Stern. New York, NY: Monacelli Press, 2008.